You can create custom fields in Velpic to capture additional information about your users in the platform. This information can then be included in report exports and other areas to help with categorisation of these users! To create a custom field, you need to be an administrator. 1. Login to Velpic and browse to Admin > Configuration and select the 'Custom Fields' tab. 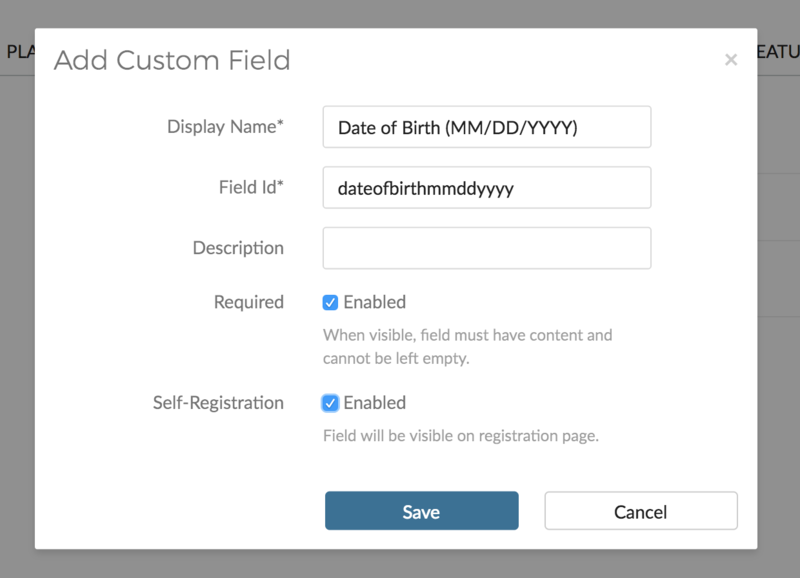 If a user access the Velpic platform using a signup key you can use the "Self-registration" option on a custom field. This will have the field appear on all self registration forms. If you want this to be a mandatory field for the trainee, tick the required option for the custom field.